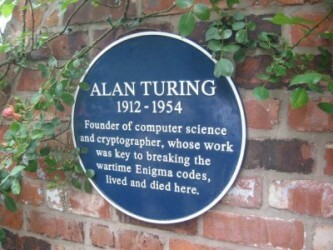 Alan Turing, pioneer of computer science, lived and died here. On 8 June 1954, Turing’s cleaner found him dead; he had died the previous day. A post-mortem examination established that the cause of death was cyanide poisoning. An inquest determined that he had committed suicide, and he was cremated at Woking crematorium on 12 June 1954. 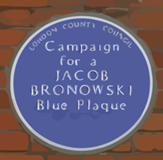 To mark the 50th anniversary of his death, a memorial plaque was unveiled on 7 June 2004. This is a private building and is not open to the public.